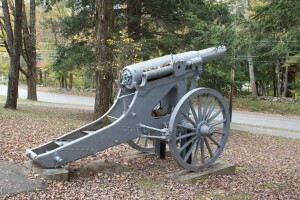 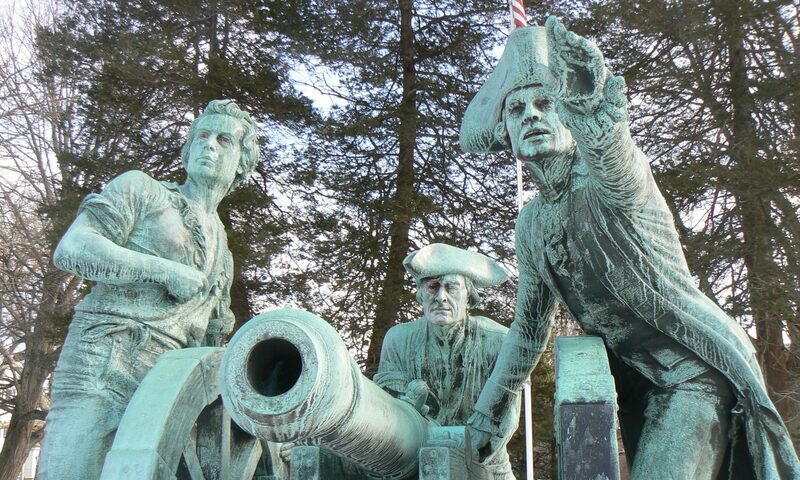 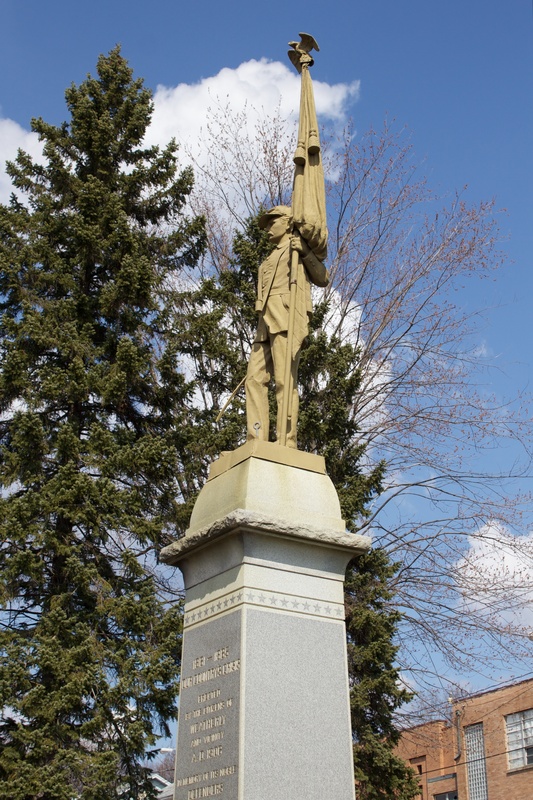 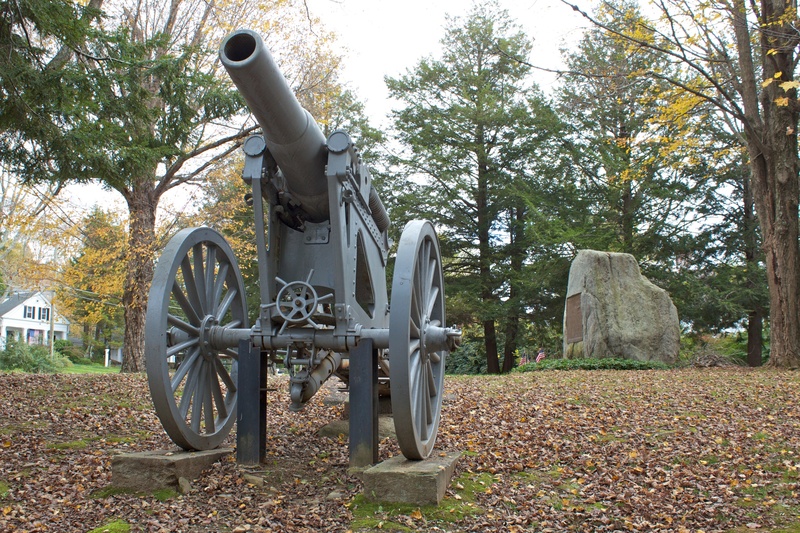 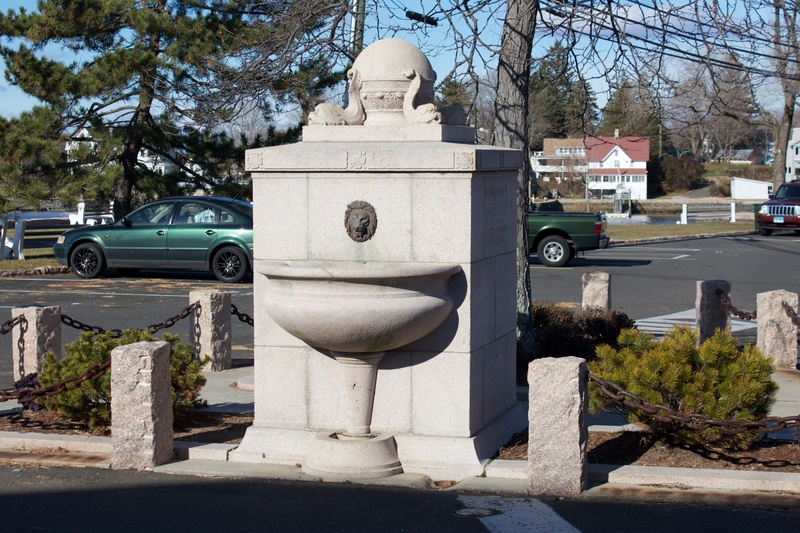 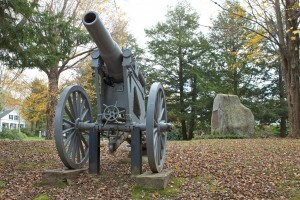 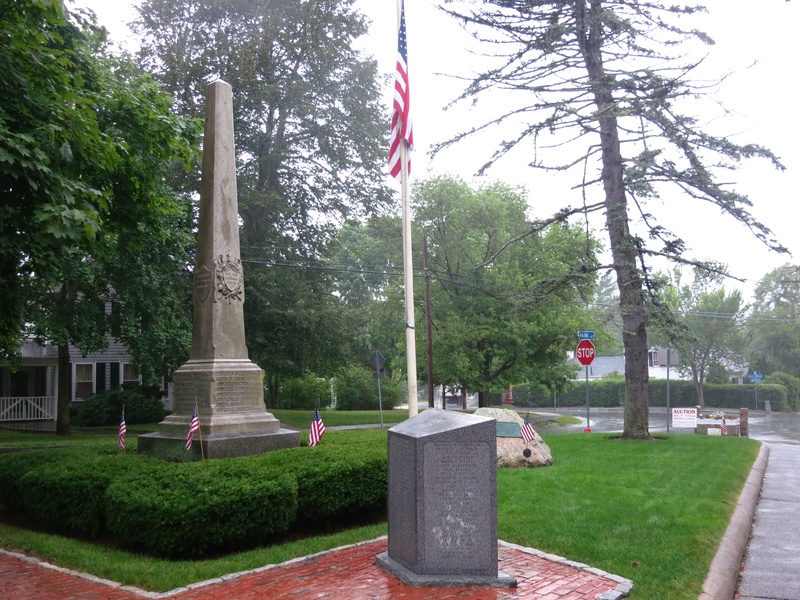 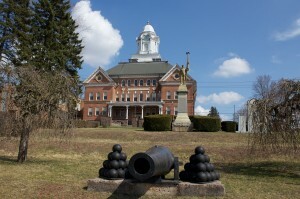 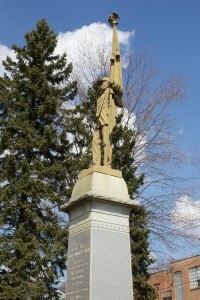 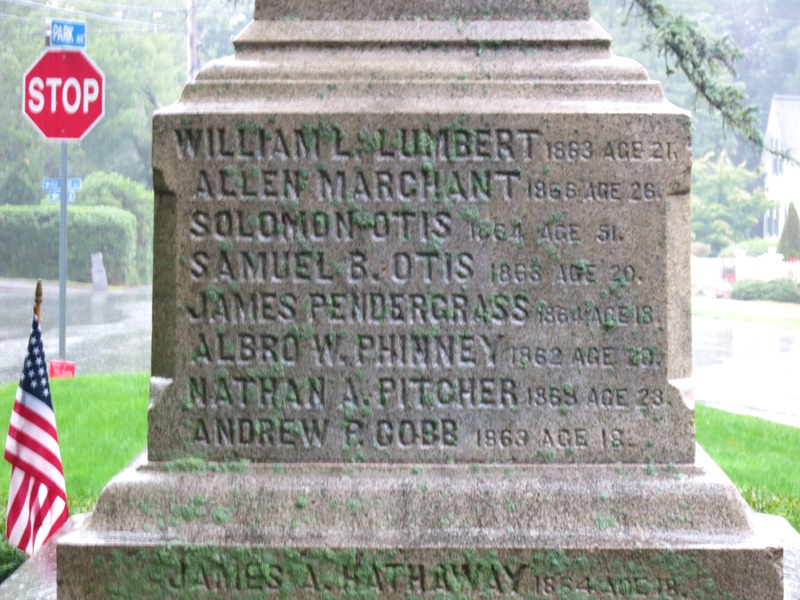 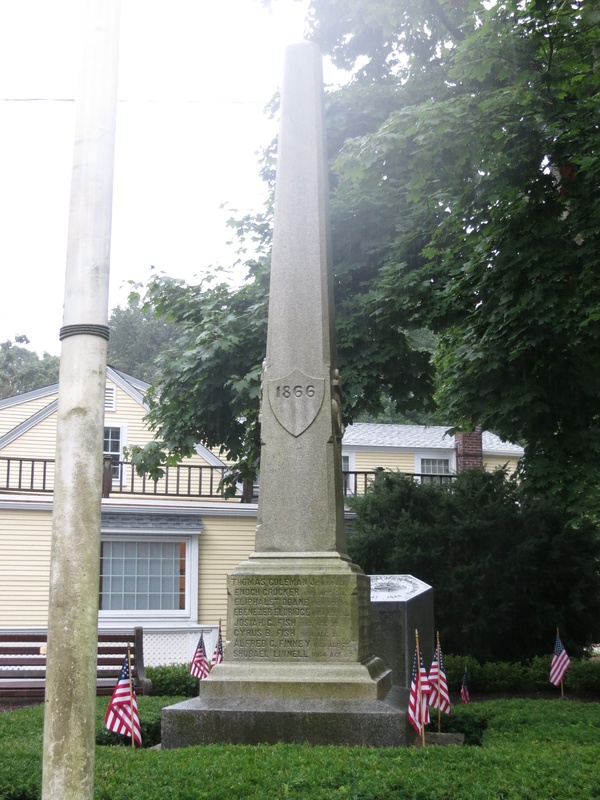 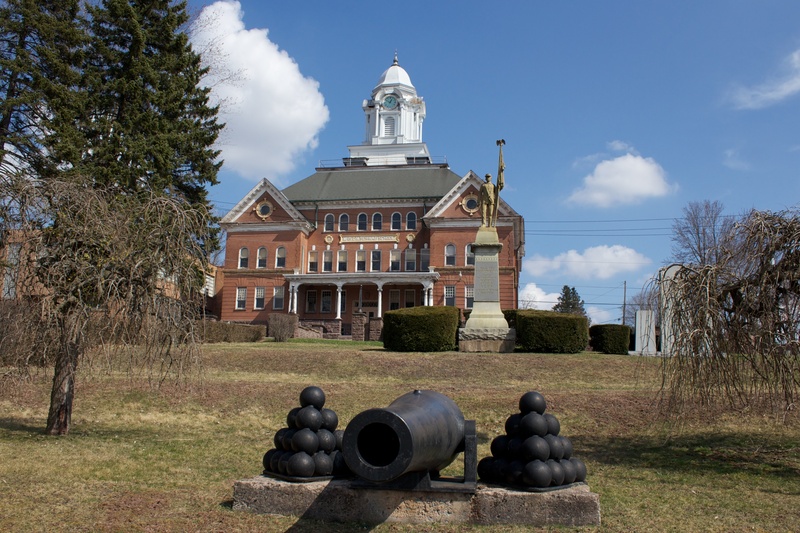 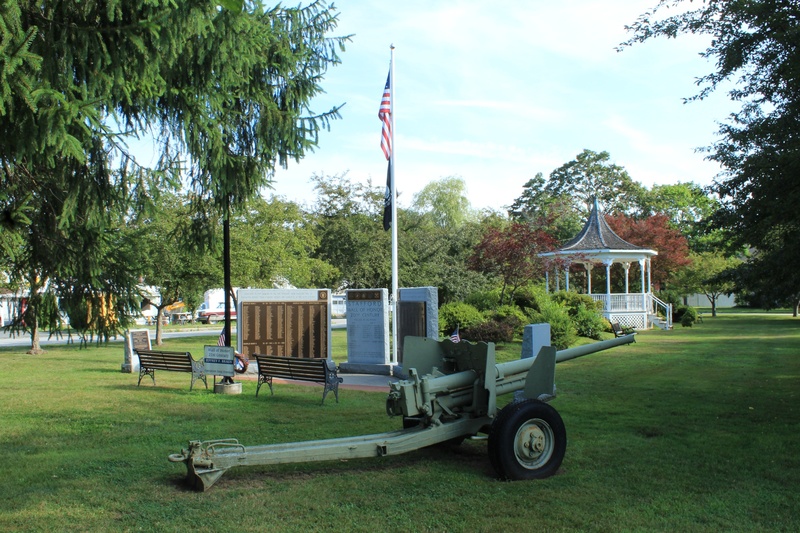 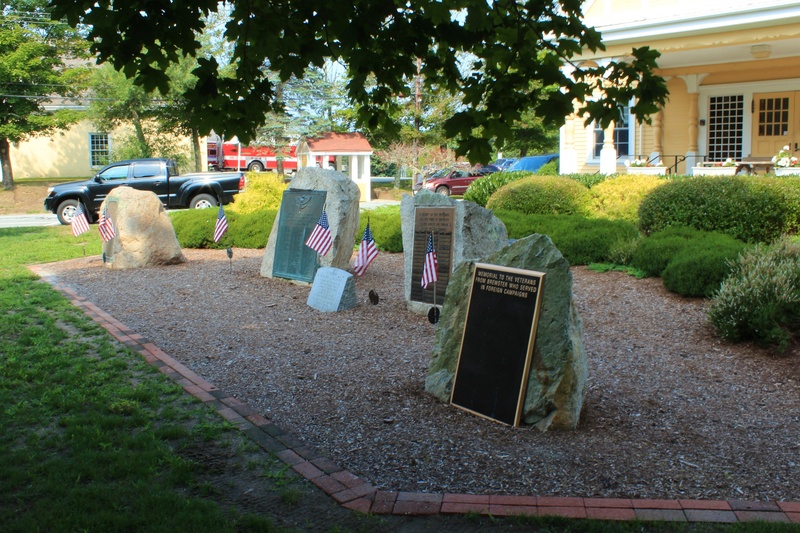 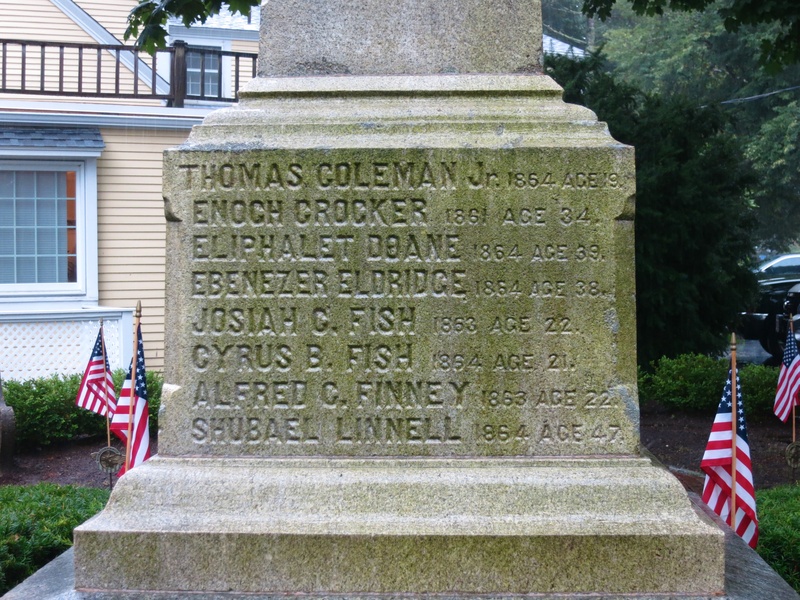 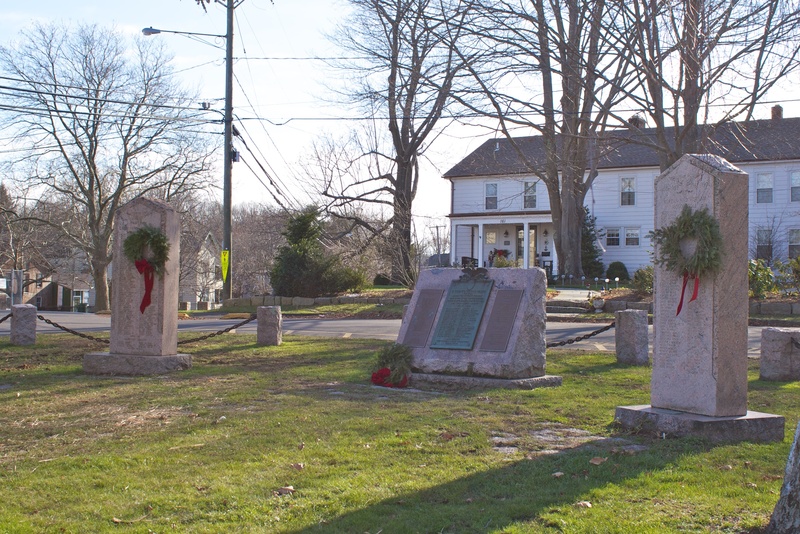 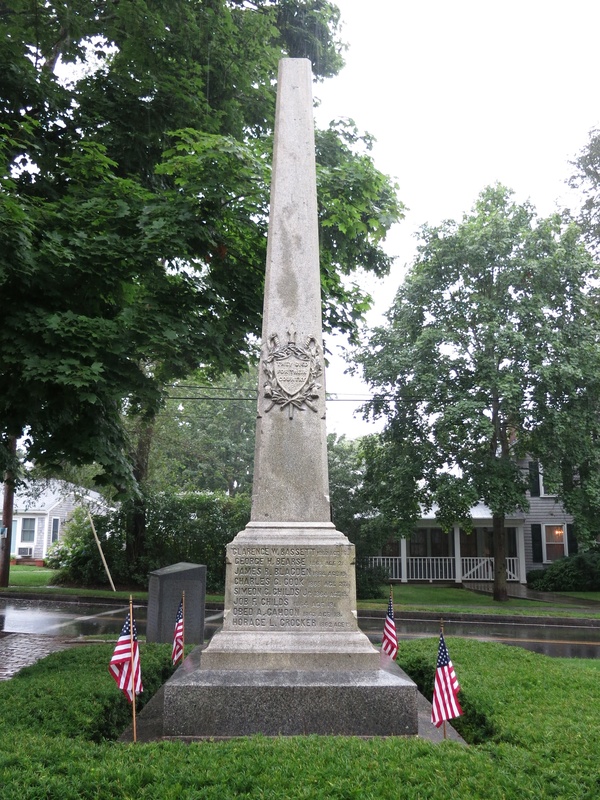 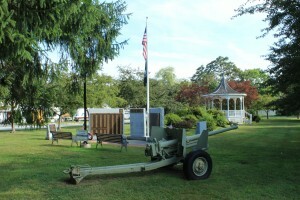 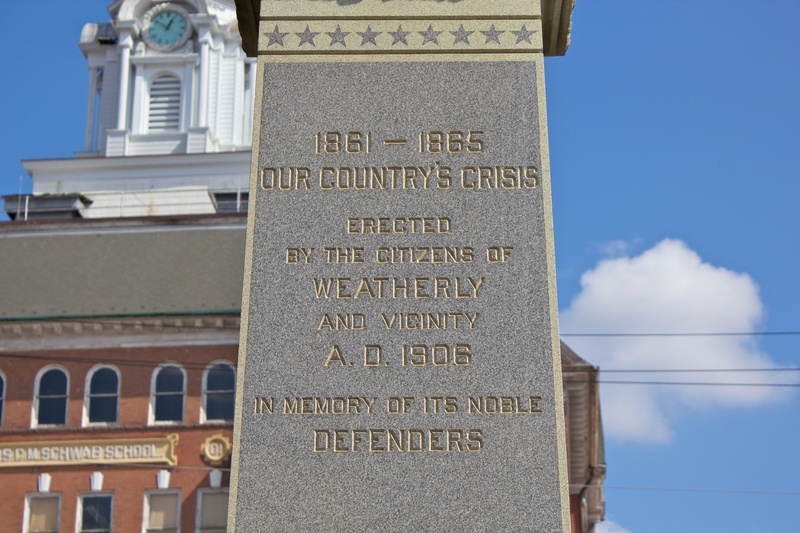 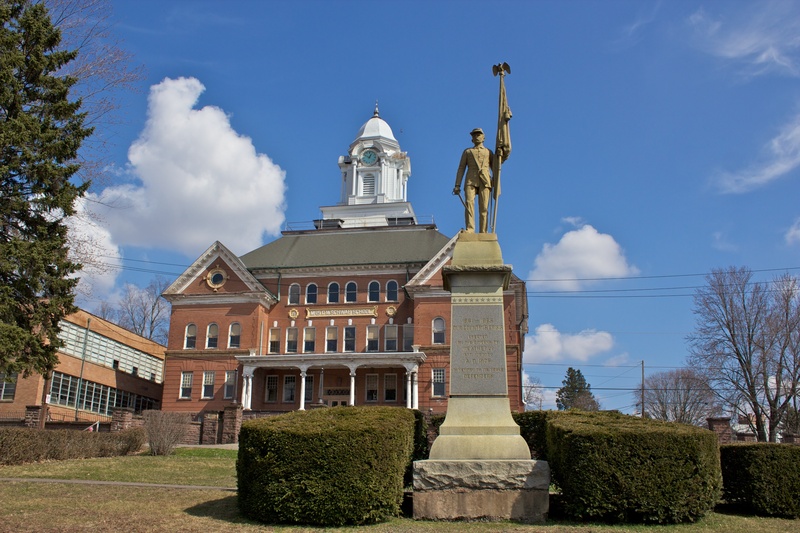 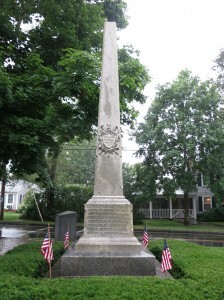 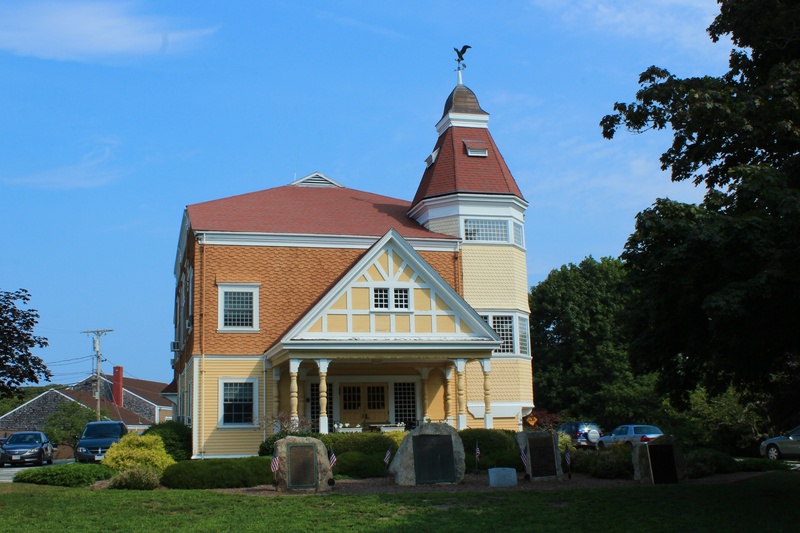 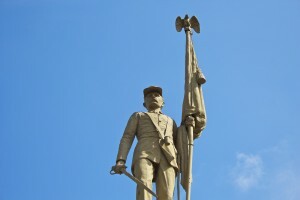 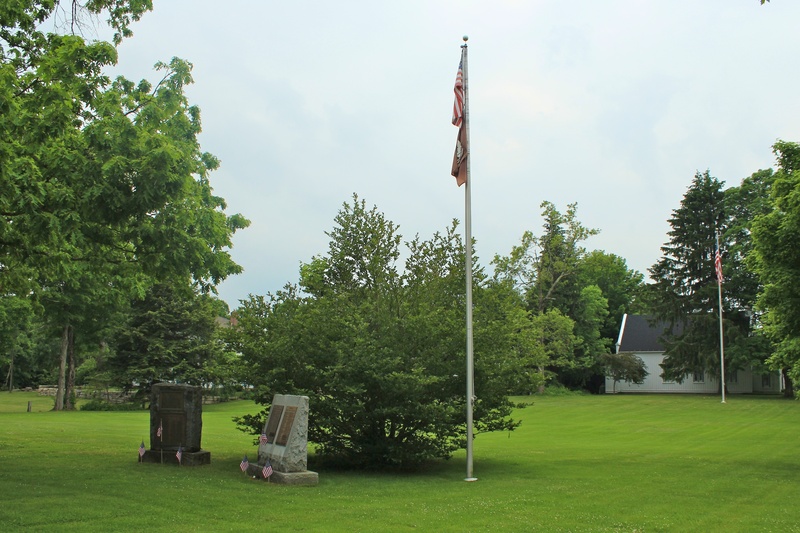 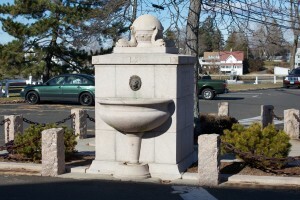 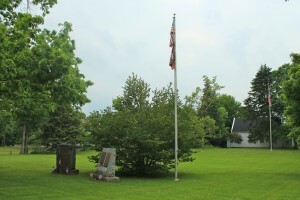 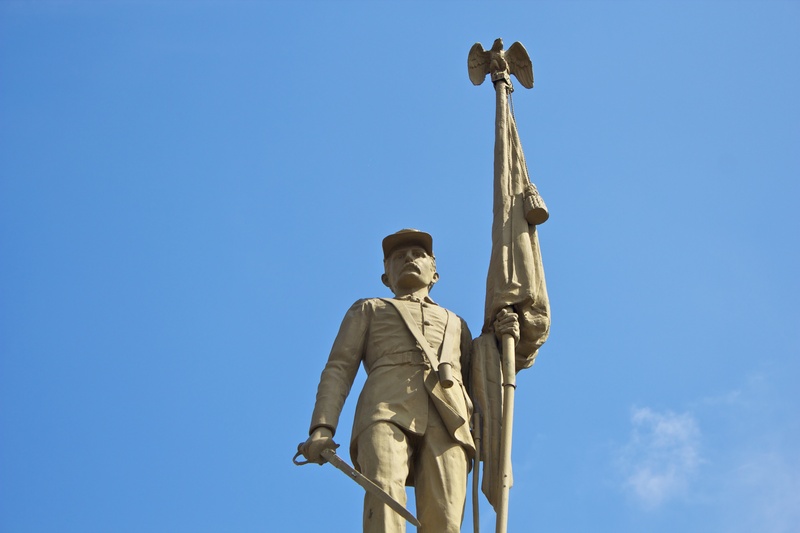 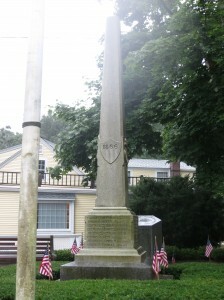 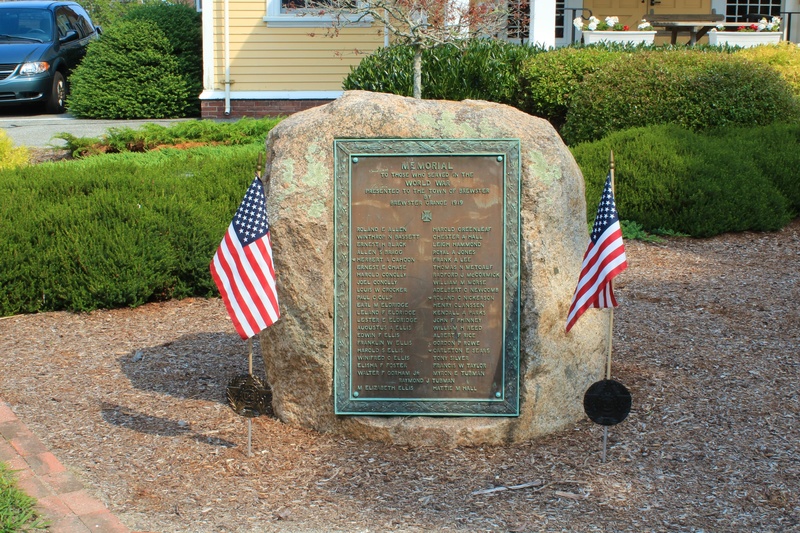 The Cornwall green features monuments honoring the town’s war veterans and a 1989 tornado. 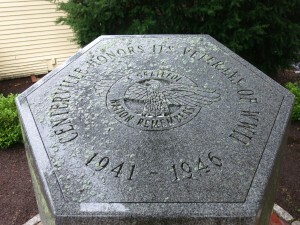 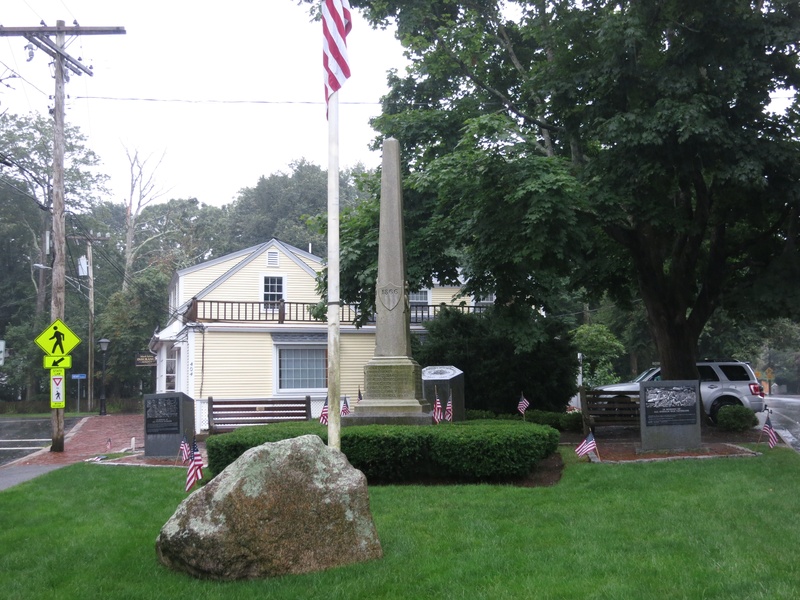 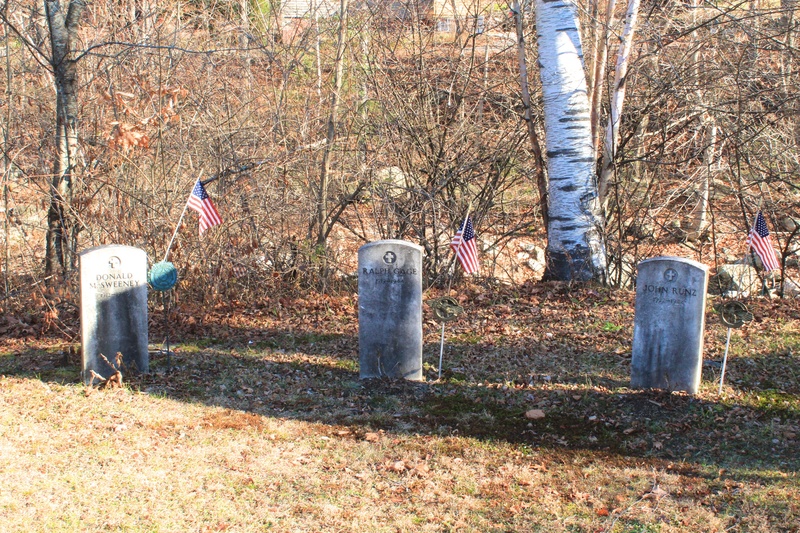 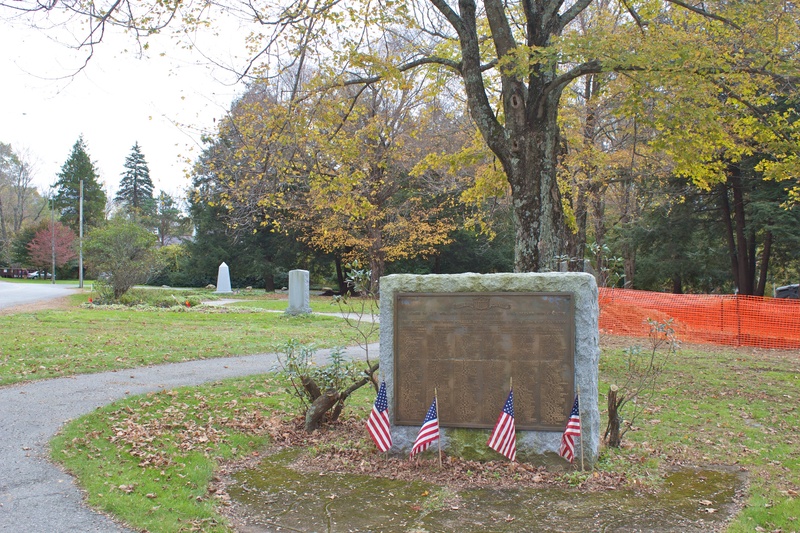 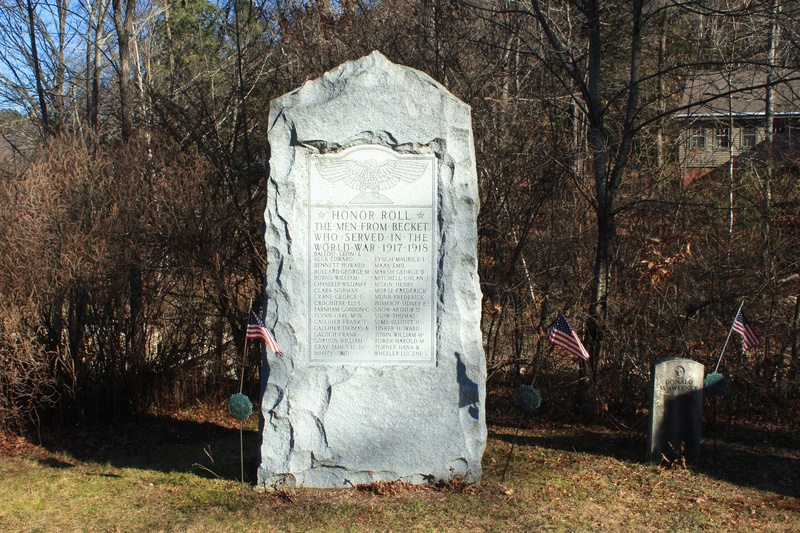 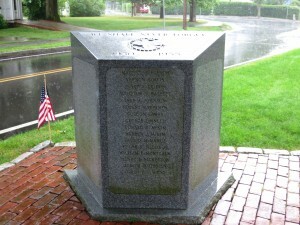 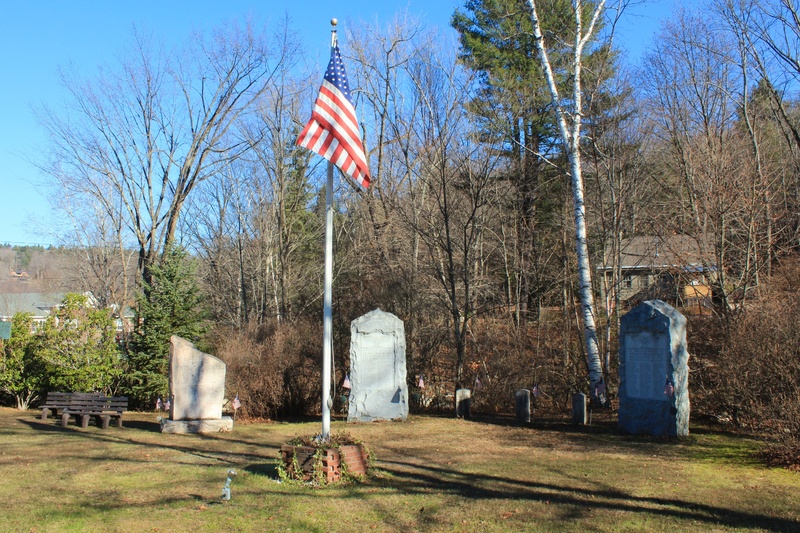 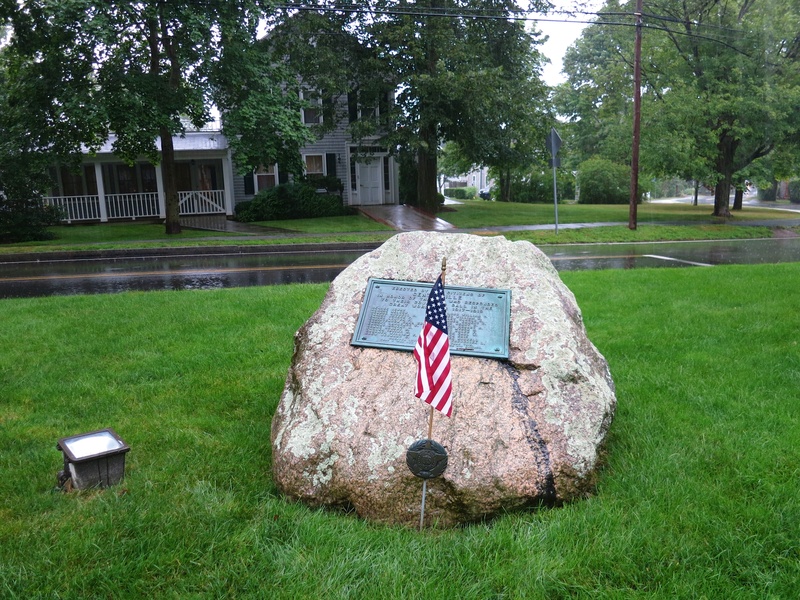 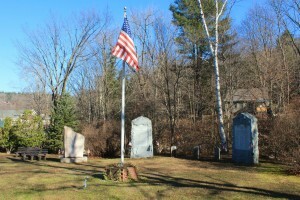 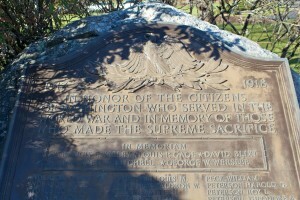 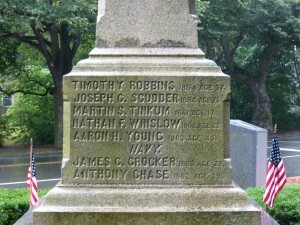 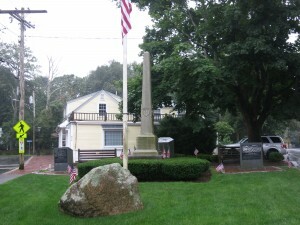 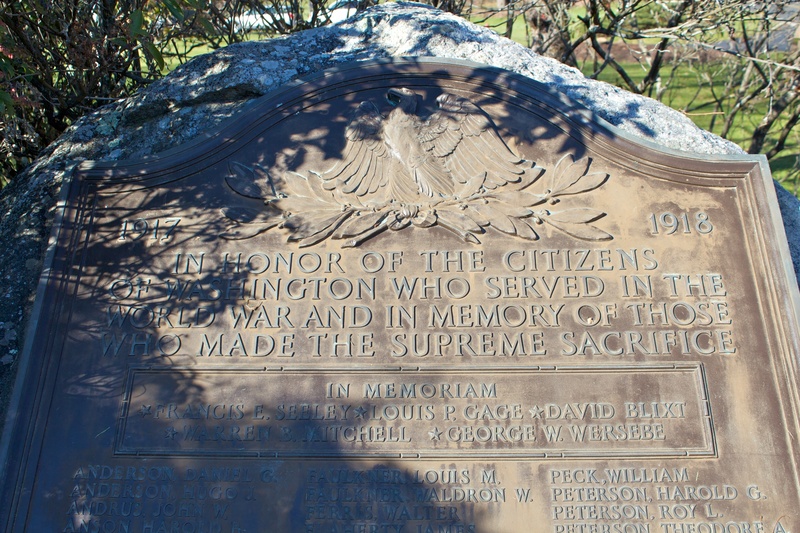 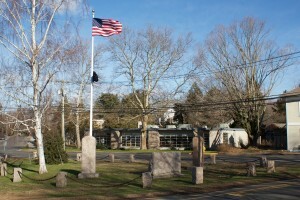 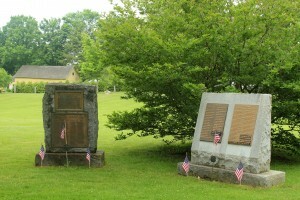 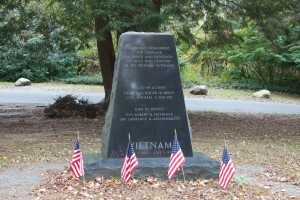 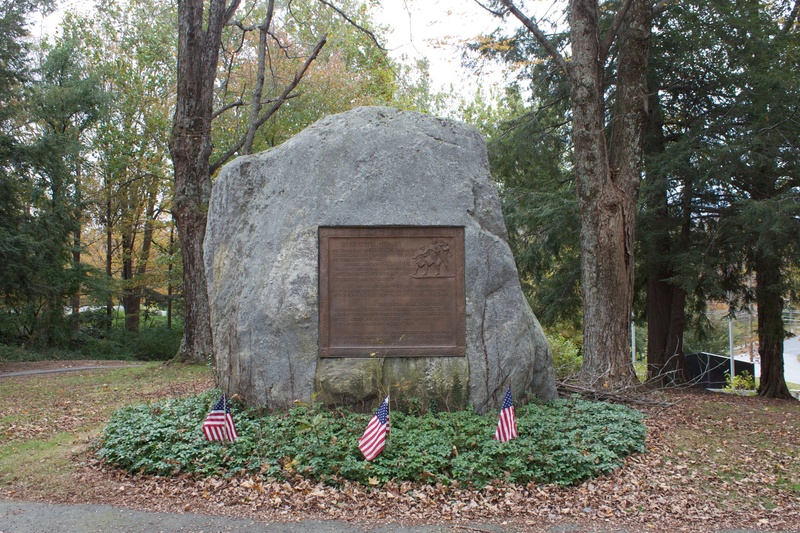 Two granite monuments at the eastern edge of the green, near the corner of Pine Street and Bolton Hill Road, honor veterans of the nation’s 20th Century wars. 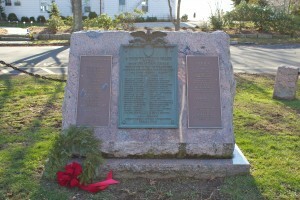 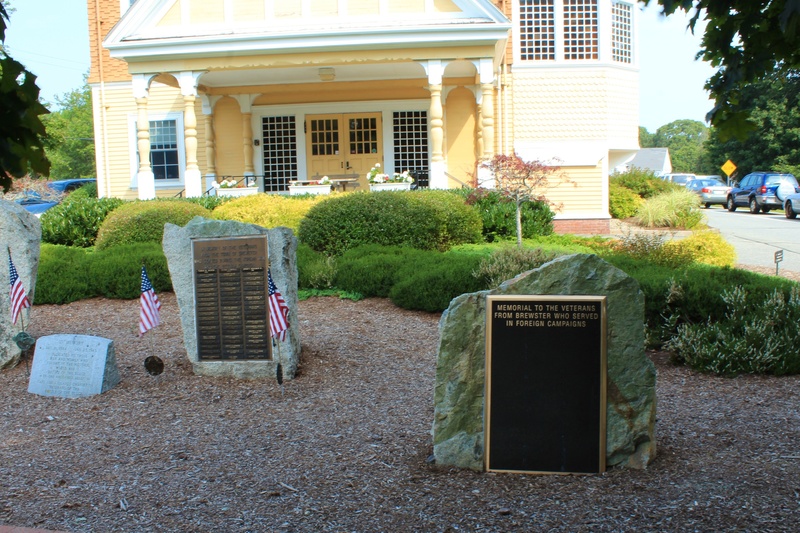 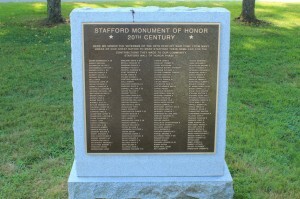 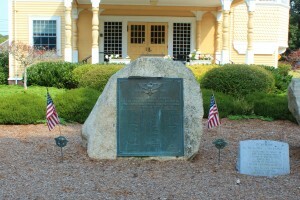 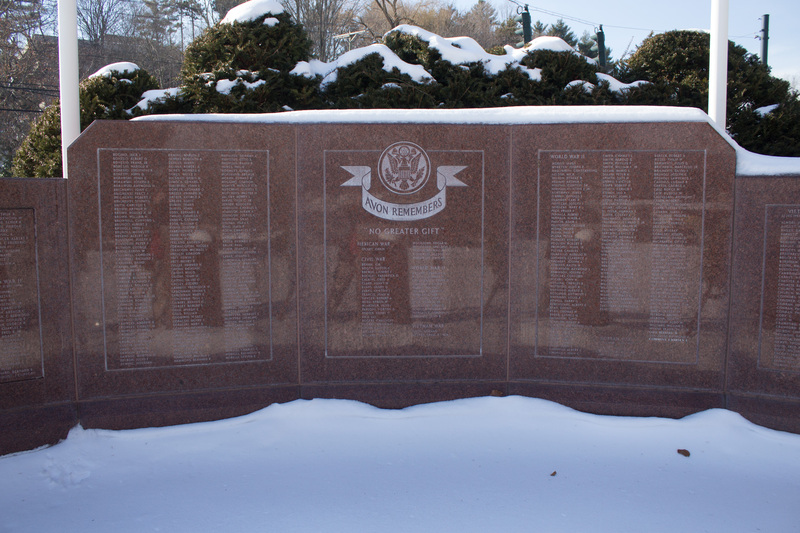 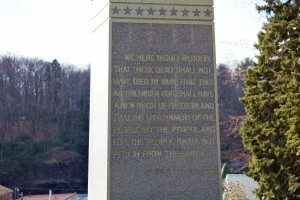 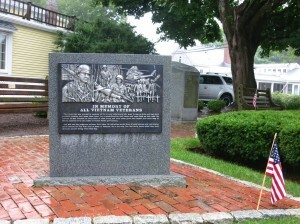 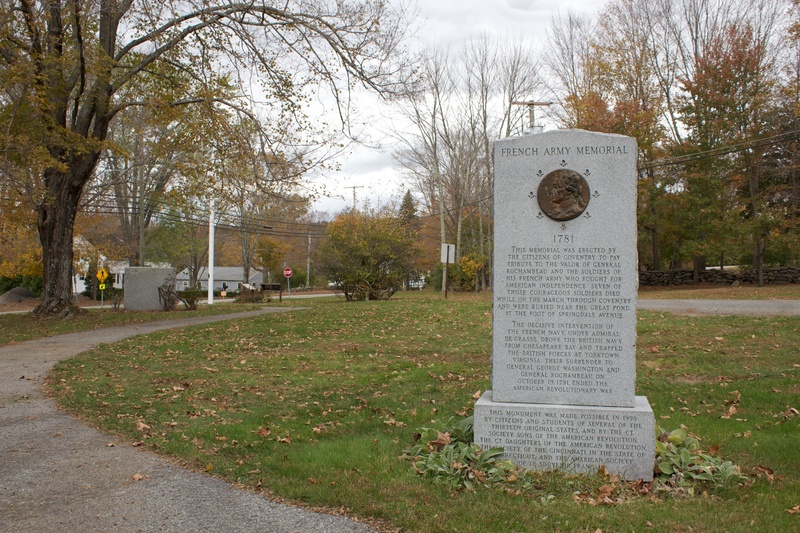 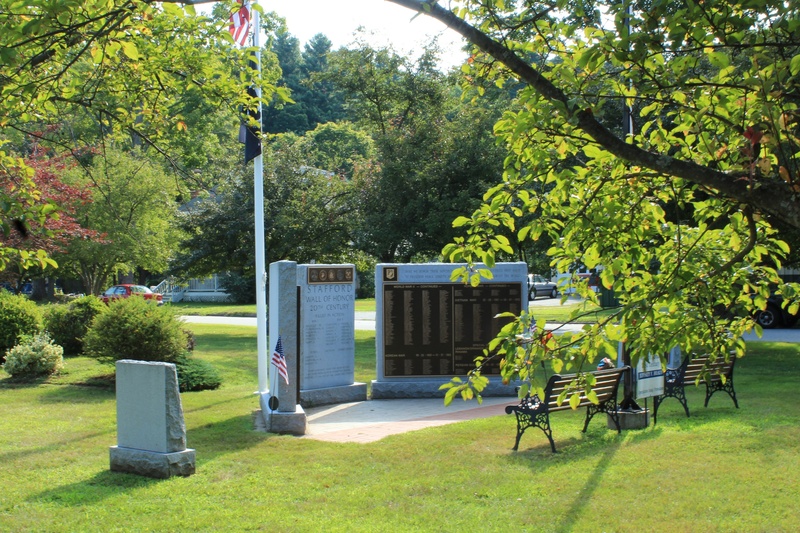 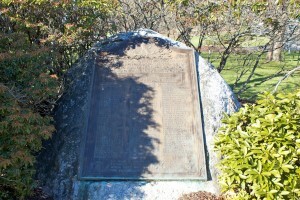 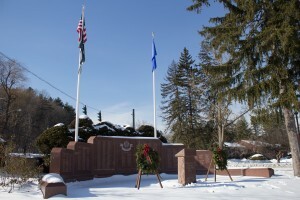 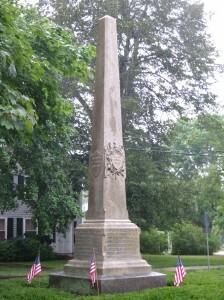 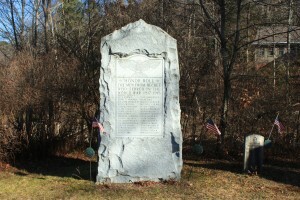 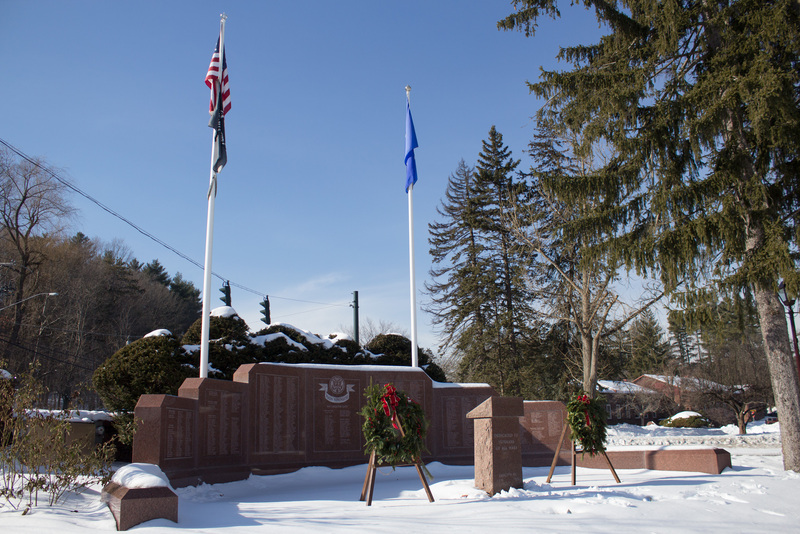 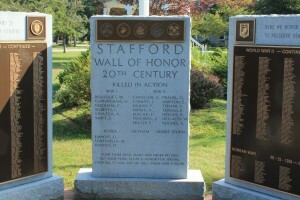 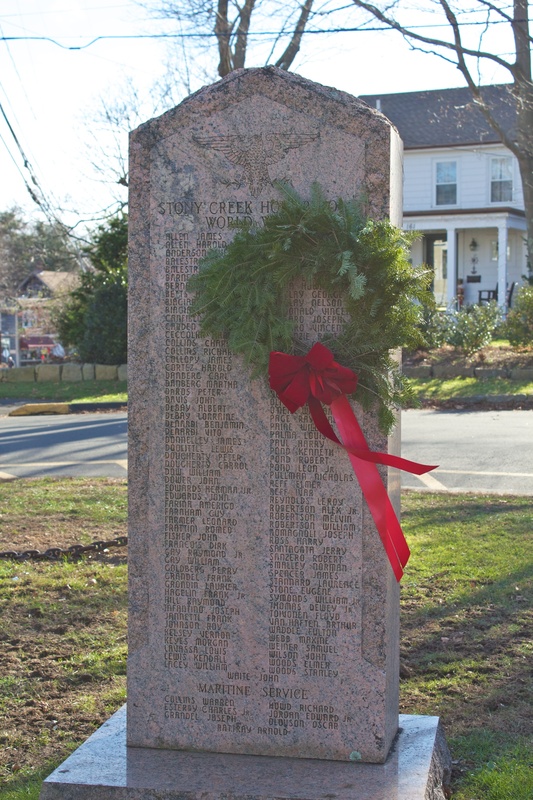 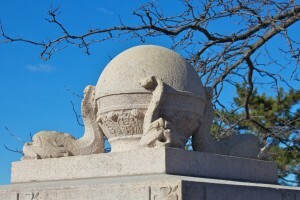 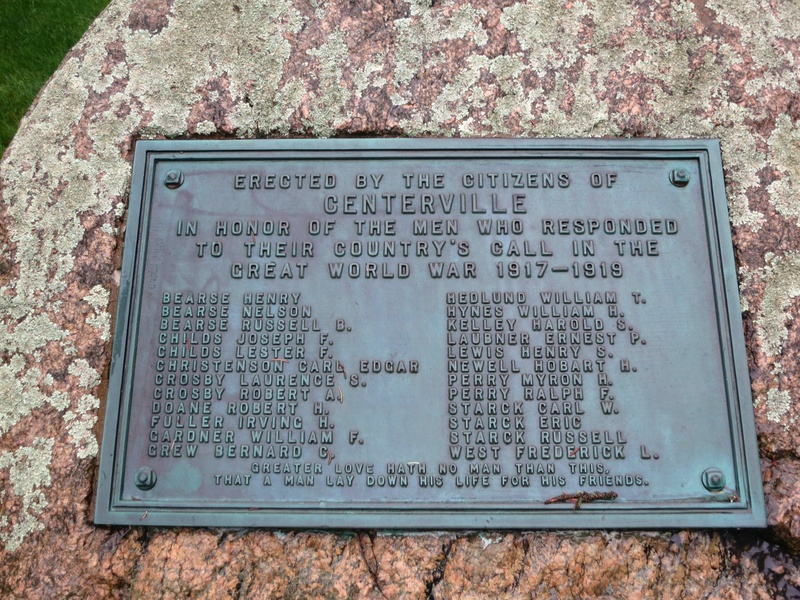 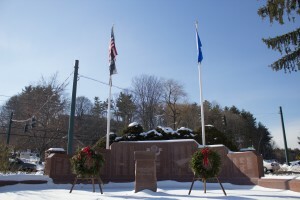 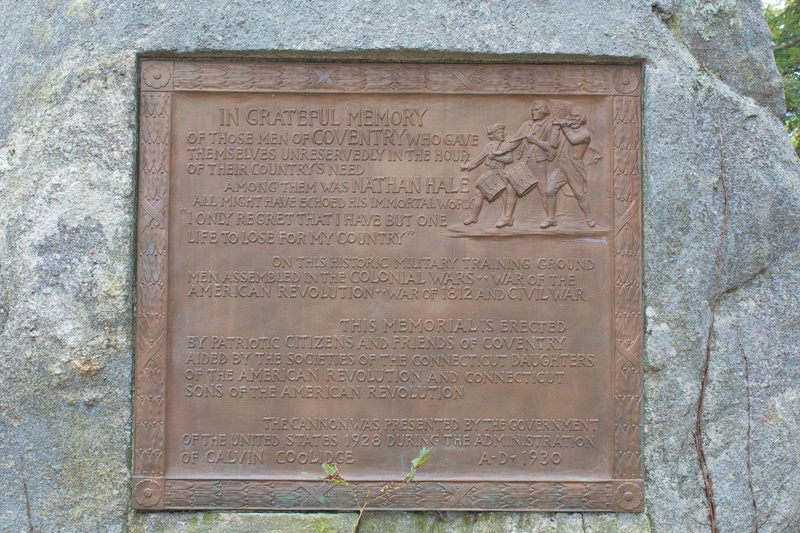 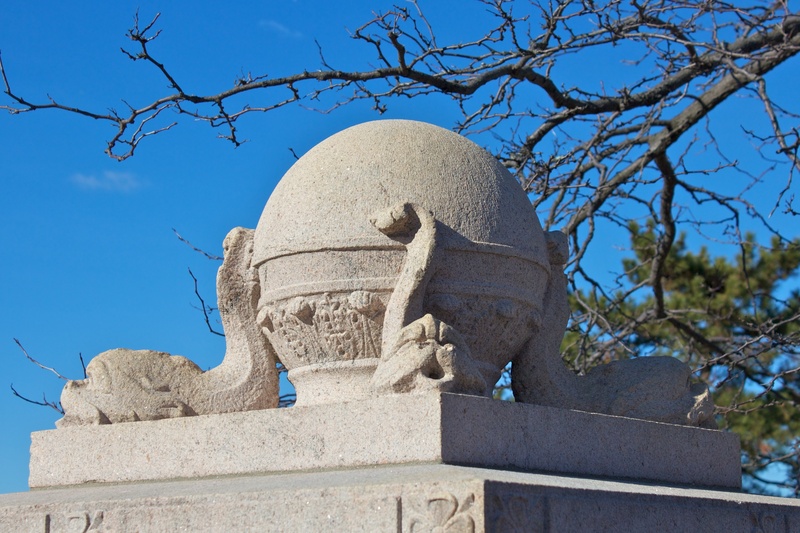 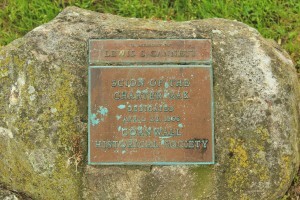 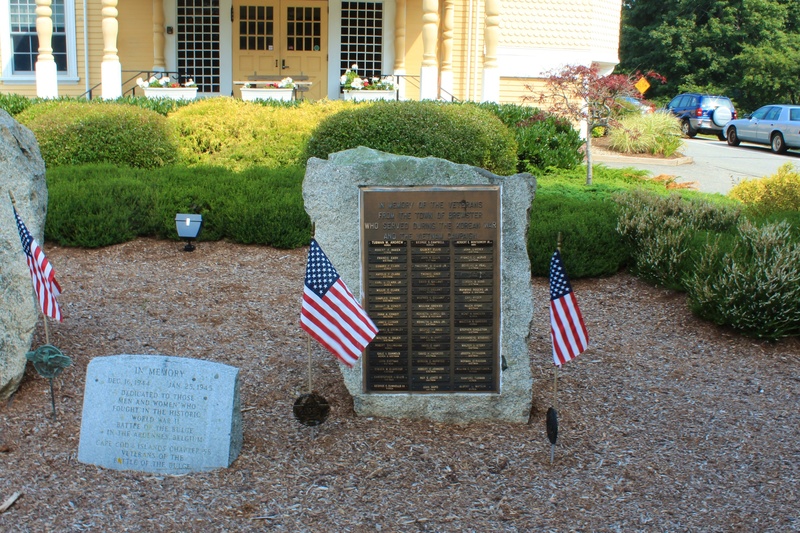 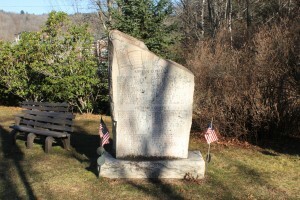 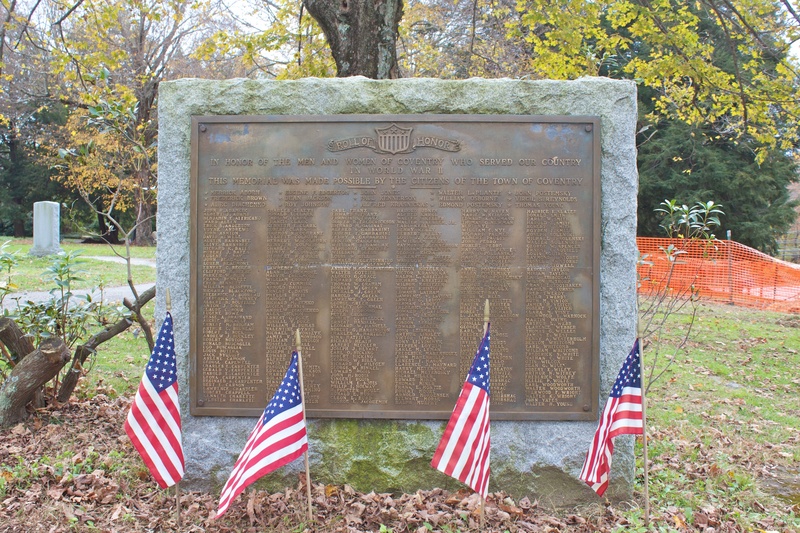 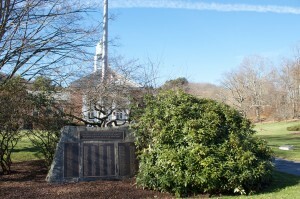 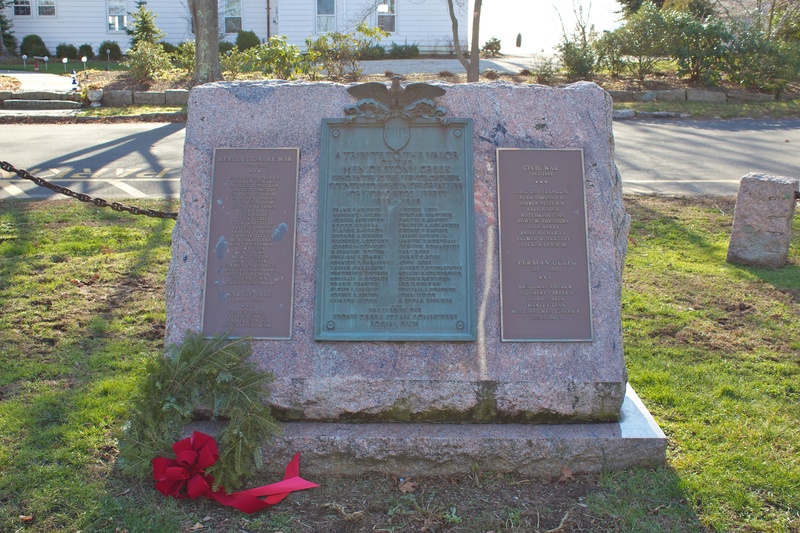 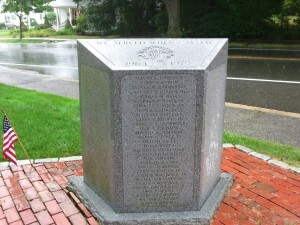 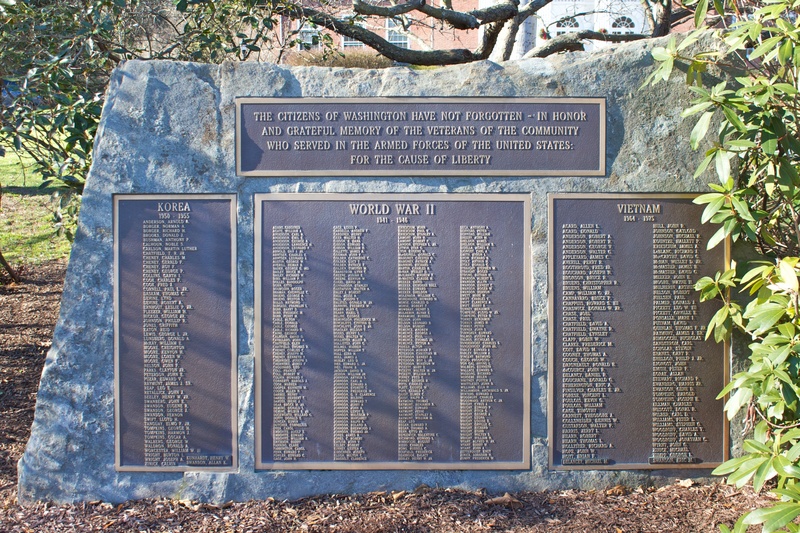 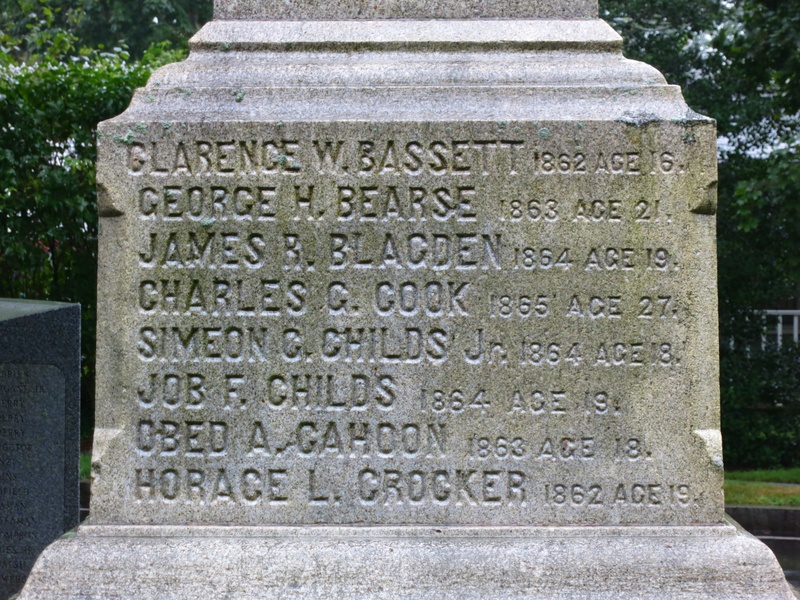 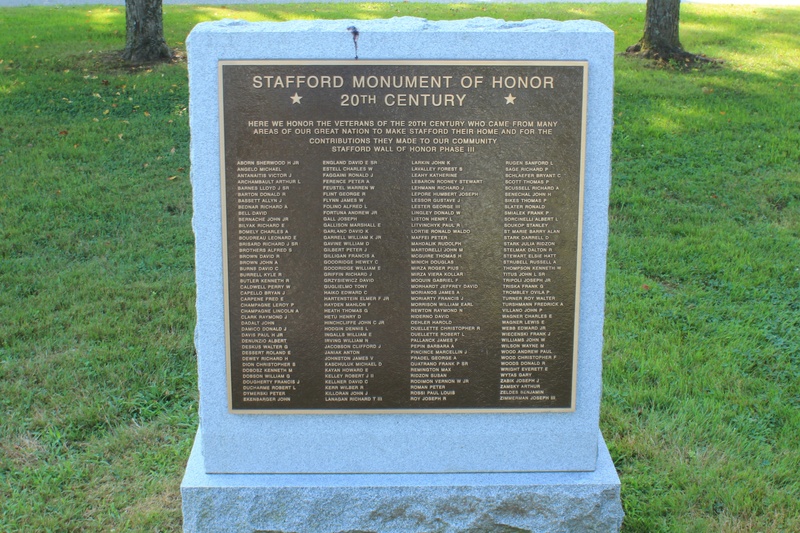 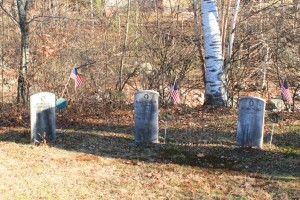 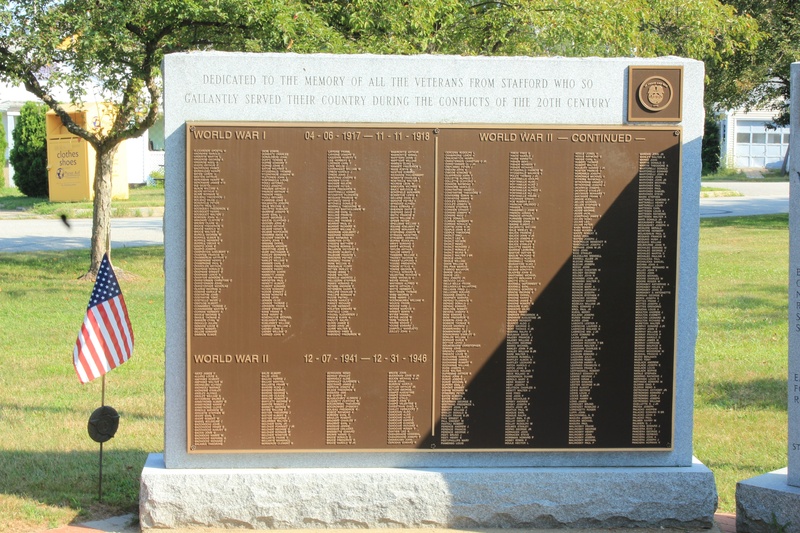 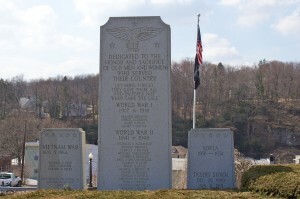 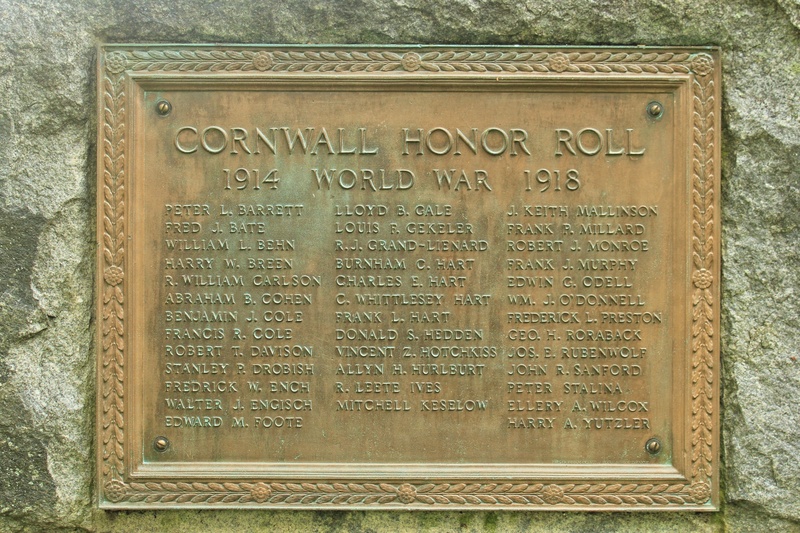 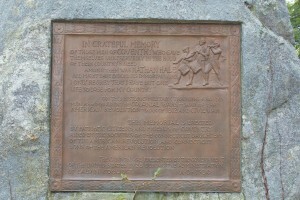 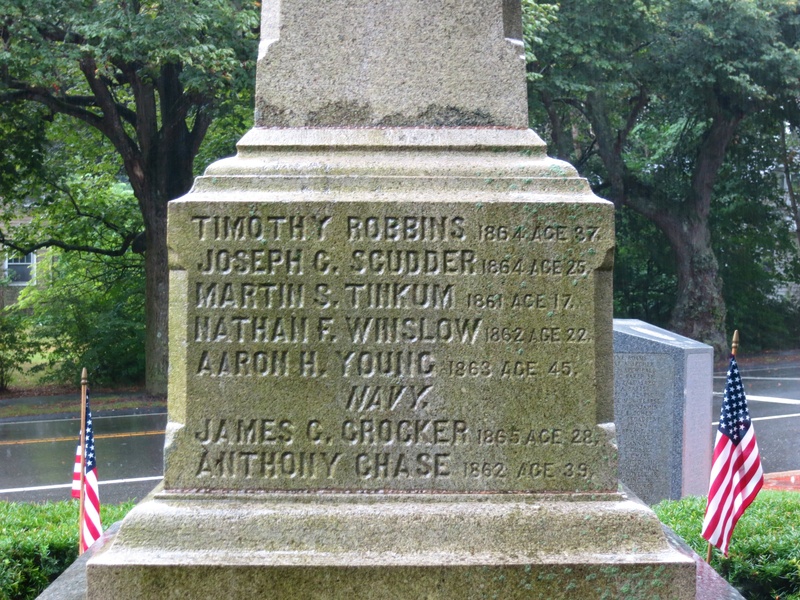 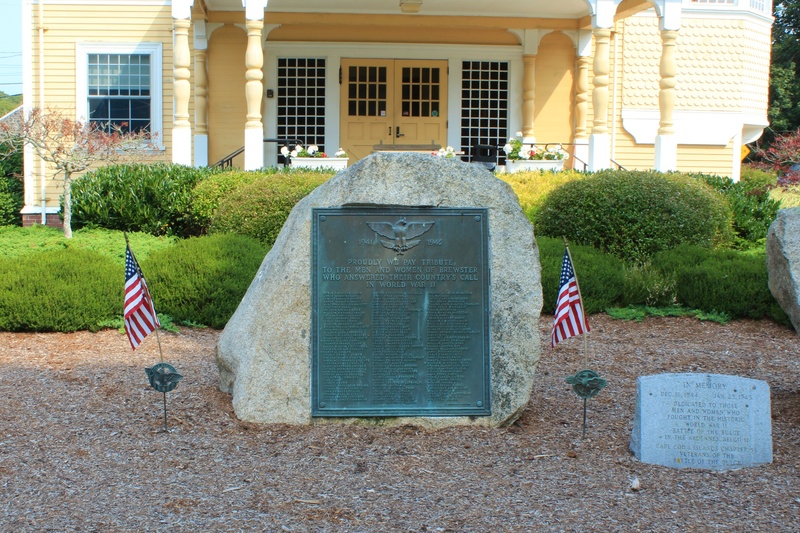 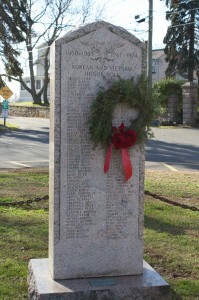 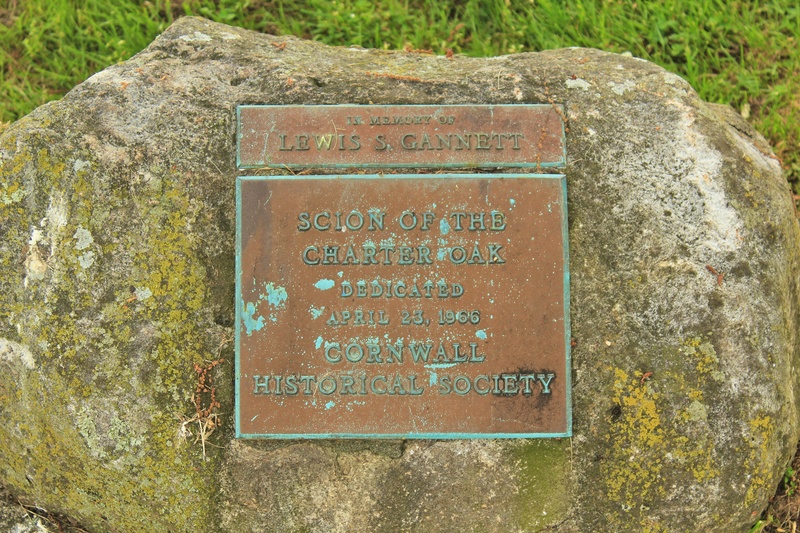 The southern monument features bronze Honor Roll plaques listing Cornwall’s World War veterans. 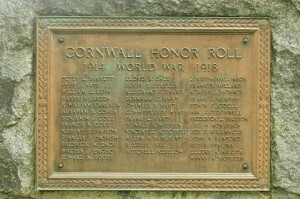 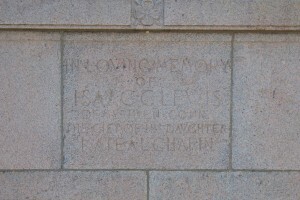 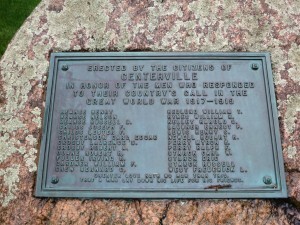 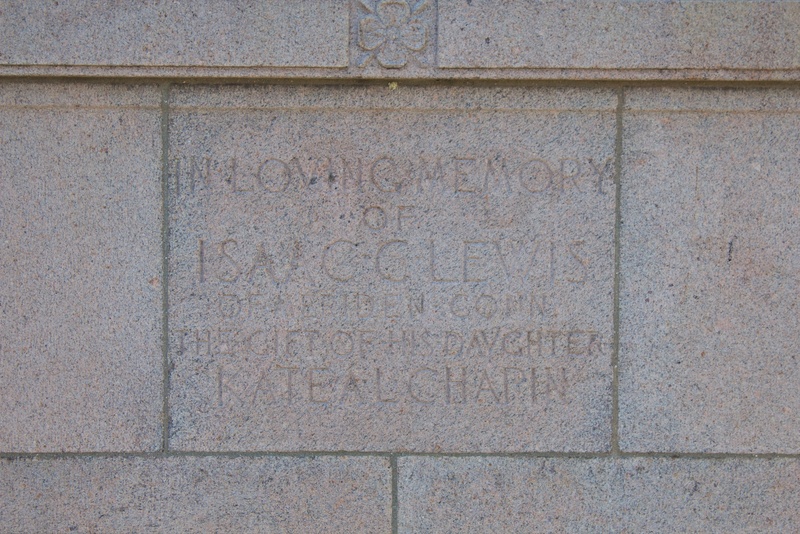 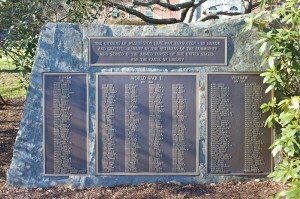 The World War I plaque lists about 38 names. 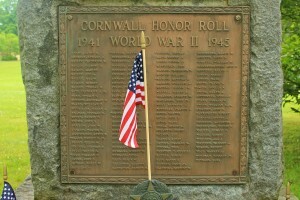 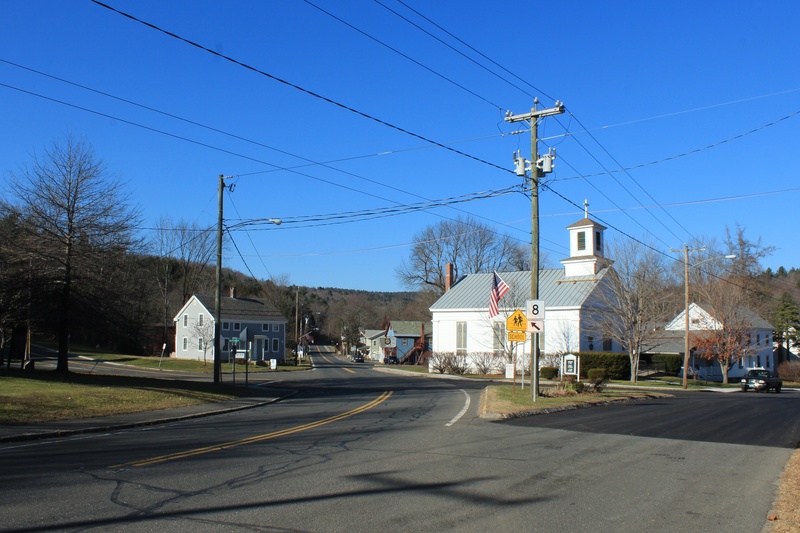 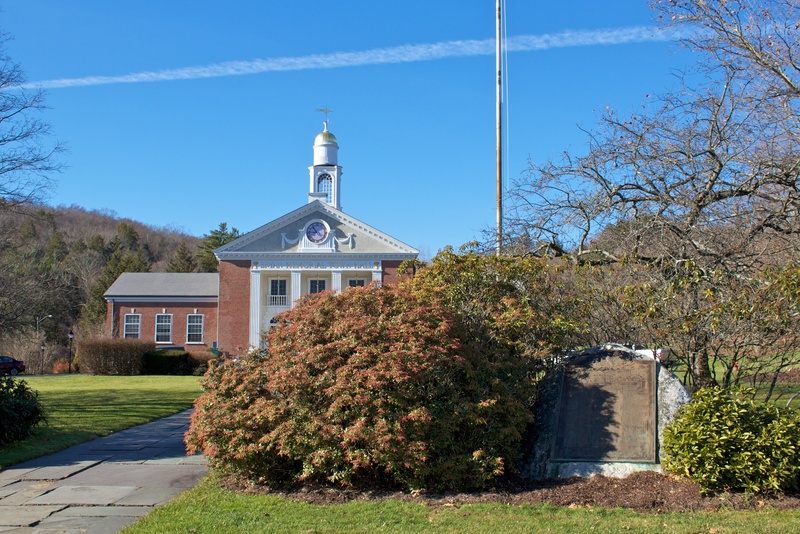 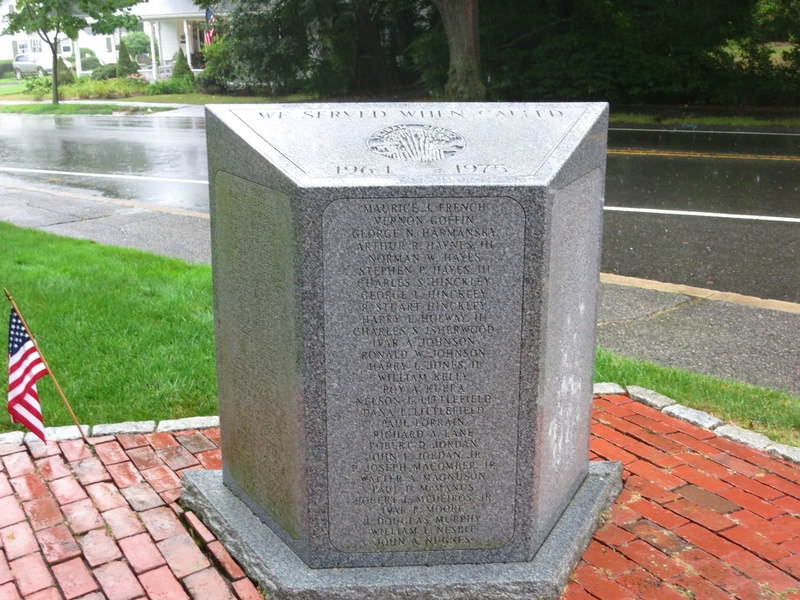 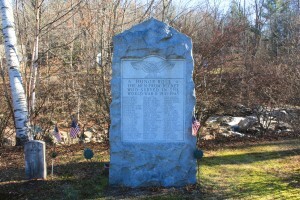 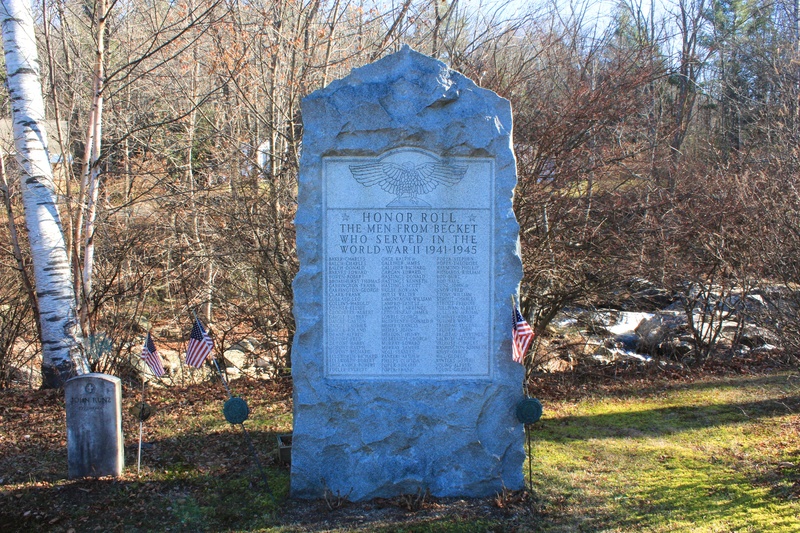 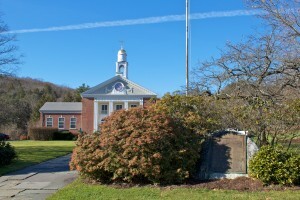 The World War II Honor Roll lists about 110 names, and highlights seven Cornwall residents who died during their World War II service. 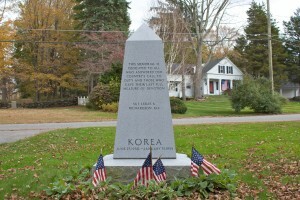 Next to the World Wars memorial, a monument honors Cornwall’s veterans of Korea and Vietnam. 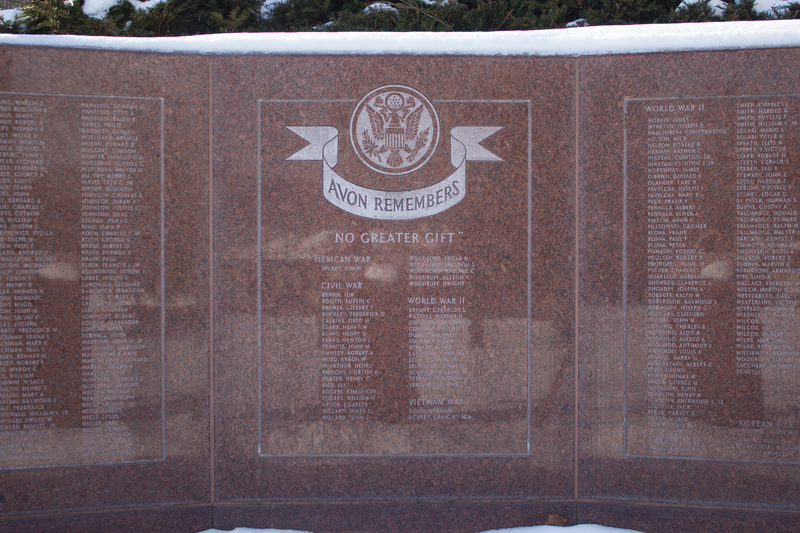 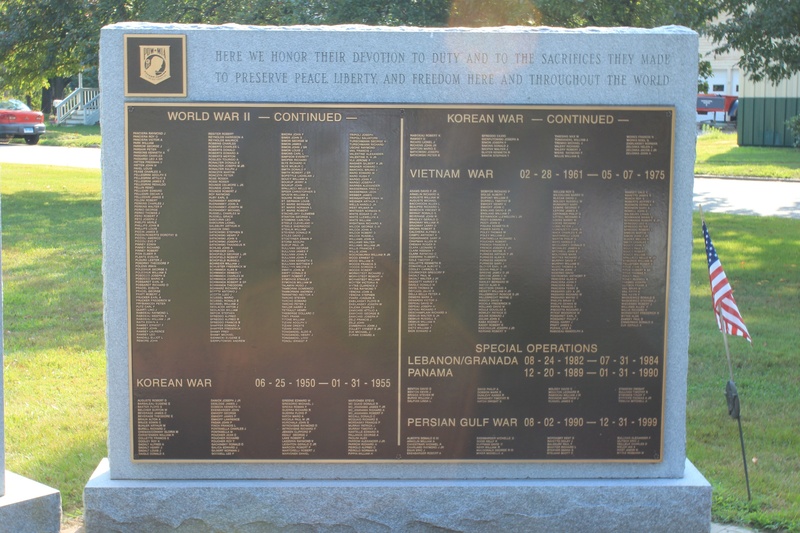 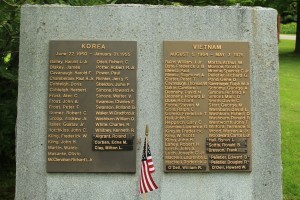 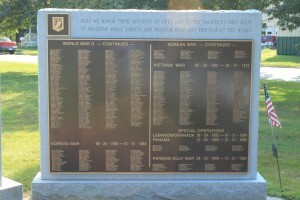 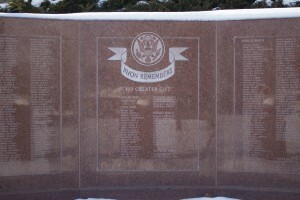 The Korea plaque lists about 35 local veterans, and the Vietnam plaque lists about 50 names. 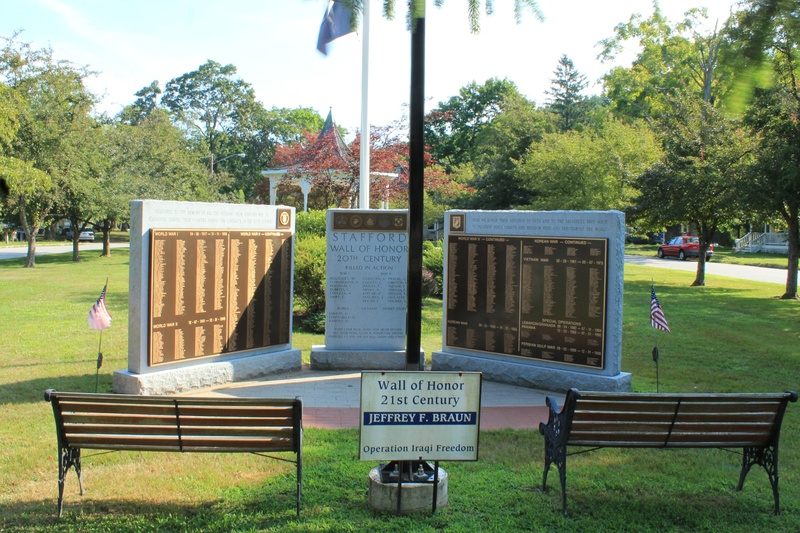 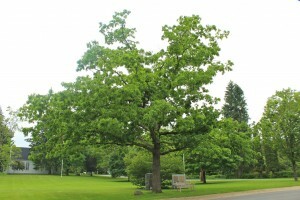 A few steps south of the war memorials, a plaque under a large oak tree proclaims the tree to be a descendent of Hartford’s Charter Oak. 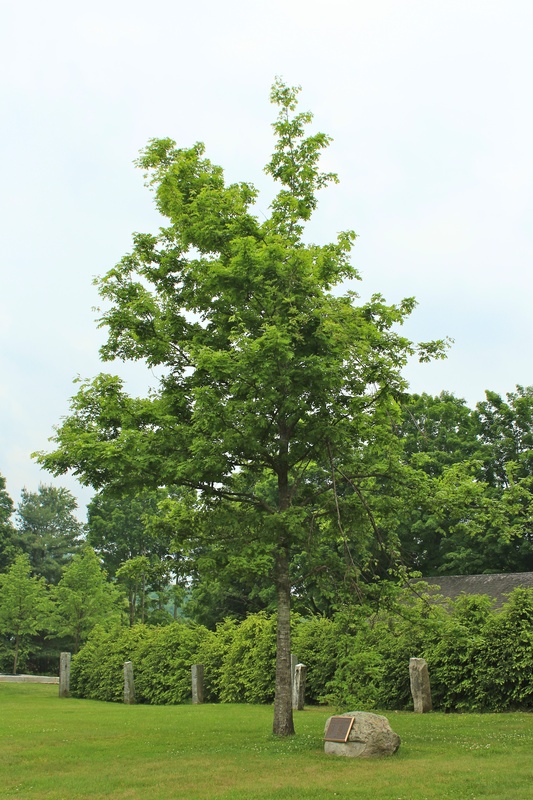 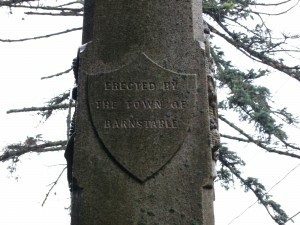 At the western edge of the green, a memorial plaque near a young tree honors “the people and the community spirit that helped Cornwall recover from the July 10, 1989 tornado.” The plaque also lists civic leaders in 1989. 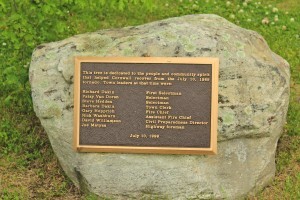 The tornado, one of several to strike Connecticut that day, largely destroyed the old-growth Cathedral Pines forest in Cornwall. 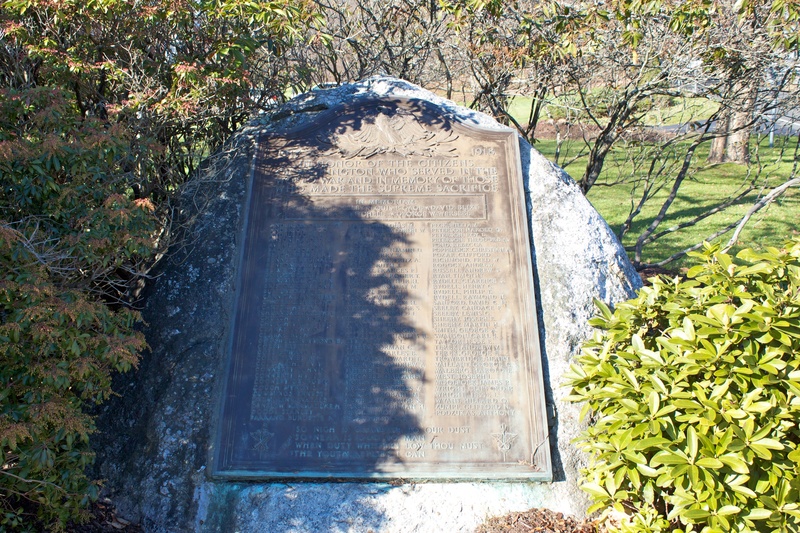 A marker in front of St. Peter’s Lutheran Church, near the western edge of the green, designates the location of the Foreign Mission School, which attempted to educate Native American and international missionary students between 1819 and 1826.